You've been there .... we've all been there. You are a guest at a wedding, you arrive at the reception, and you wait before taking a seat because you aren't sure if there are reserved tables or reserved seats. Let's face it, it can be awkward. It's so easy to eliminate confusion for your guests by creating a simple seating plan for your guests and using table numbers and wedding place card holders. It's easy with our FREE wedding seating chart template! 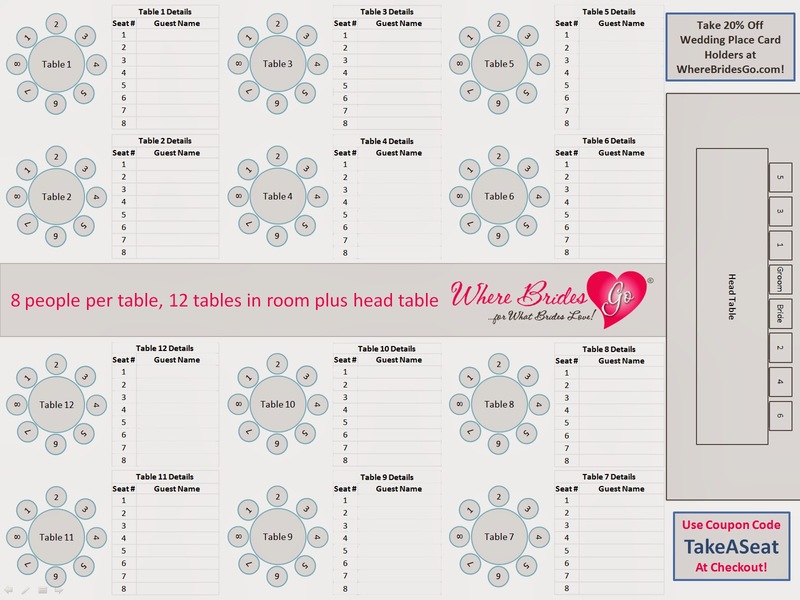 Wedding Reception Seating Chart Template - Free! For a limited time, take 20% off ALL wedding place card holders at WhereBridesGo.com with coupon code TakeASeat.